Cave bath carved from the mountain, a favorite with female guests. In the middle of Kinosaki with an open-air bath made from the mountain. With washroom and bidet restroom. 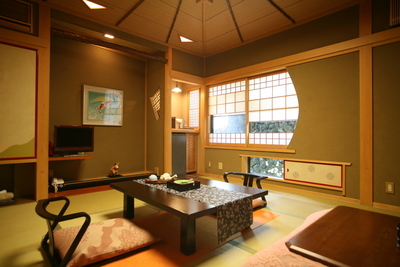 Special unified Japanese room newly remodeled. 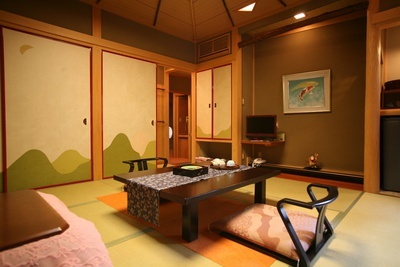 All necessary amenities and features are present in this room (hairdryer, refrigerator, towels, yukata (cotton kimono) set, face lotion).